You’re up against intensive competition from leaders with a wealth of experience. But will you need a professionally written executive resume to compete at this level? Does every executive outsource this part of the job search? However, if you dread writing in detail about most subjects – and you haven’t kept up on the latest trends in executive resume writing, then it’s time to consider bringing in an expert. Rather than spending considerable time on your leadership resume, it can make more sense to concentrate on efforts that only you can undertake – strengthening networking relationships, starting conversations with executive recruiters, and polishing your LinkedIn / social media presence. 2 – Do your executive competitors rely on resume experts? In fields involving more jargon and technical skills, though, you may find executive resume writing services to be the exception. As an example, some medical professionals are able to target a leadership role if their degrees, places of residency, or areas of practice speak for themselves. In the case of this Chief Revenue Officer, an expertly crafted resume was instrumental in organizing large amounts of data. Many CEO, CFO, COO, CIO, CTO, CNO, and CLO candidates seek executive resume writing services because they’re accustomed to outsourcing tasks of high complexity. At this level, your executive resume will be routinely compared against these well-crafted portfolios. Don’t come up short! On the other hand, if you find sending out your executive resume only results in the sounds of silence (even after multiple rounds of tweaking it to fit the job description or to add accomplishments), then it’s time to look closely at an executive resume writing service as part of your strategy. Conversely, if you’re unaware that an executive resume can take up more than a page, or if you’ve never experimented with fonts beyond Arial or Times New Roman, then your job search can suffer significantly from a bland resume – and you’ll need expert help. 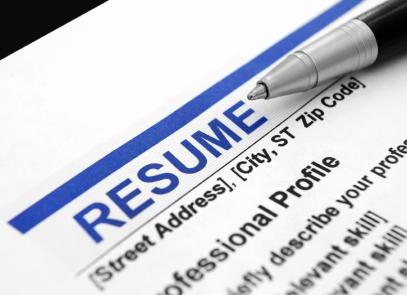 In summary, executive resume writing services can be effective, but they’re not for everyone. Did you write your leadership resume around a clear job target – or merely leave clues for employers to find? If you’ve ever suffered through reading a stack of resumes – hoping the perfect candidate will nearly jump off the page, then you’ll understand the conundrum faced by employers. Many resumes are written using generalities, leaving recruiters or employers to guess at your desired job goal… following the bread-crumb trail of previous positions and skills to figure out exactly why you’re their prime executive candidate! Seriously, if employers can’t seem to piece together the reasons you’re applying (never mind the reasons you’re a perfect fit! ), then your executive resume might be missing an important element: a title. A resume title, which is typically a short phrase or job title used at the top of your resume, helps readers understand the role you’re pursuing. If done correctly, it also leaves them anticipating the supporting details of your story. You DO want them to read further, right? The advantage of using a title? Your job target will be immediately obvious, and employers will tend to read further, rather than eliminating your resume at first glance. Even if you’re open to different positions (as illustrated by this sample CEO and SVP resume), you can specify more than one goal. Of course, these job targets should be similar enough to use a common resume; otherwise, you may need another version. As you can see, boldly titling your executive resume will direct employers to pay attention to your strong points – helping them quickly understand how you fit into their operation.